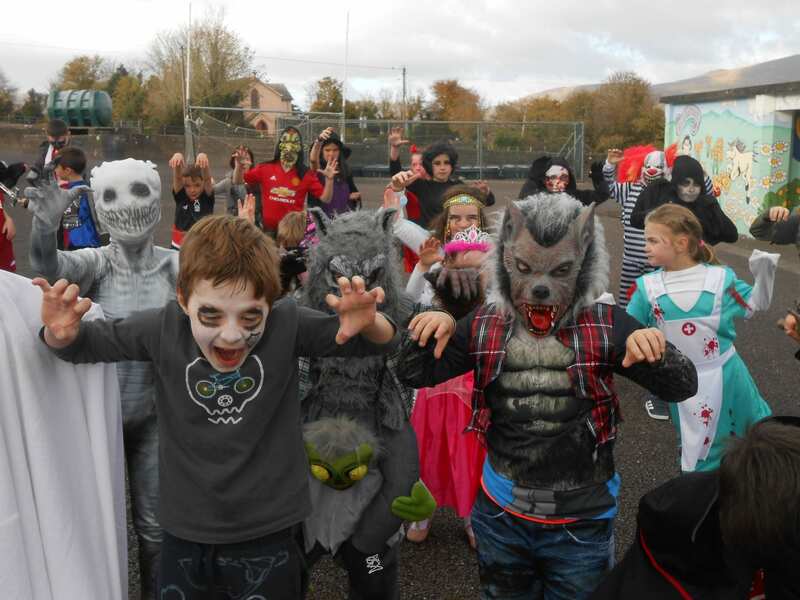 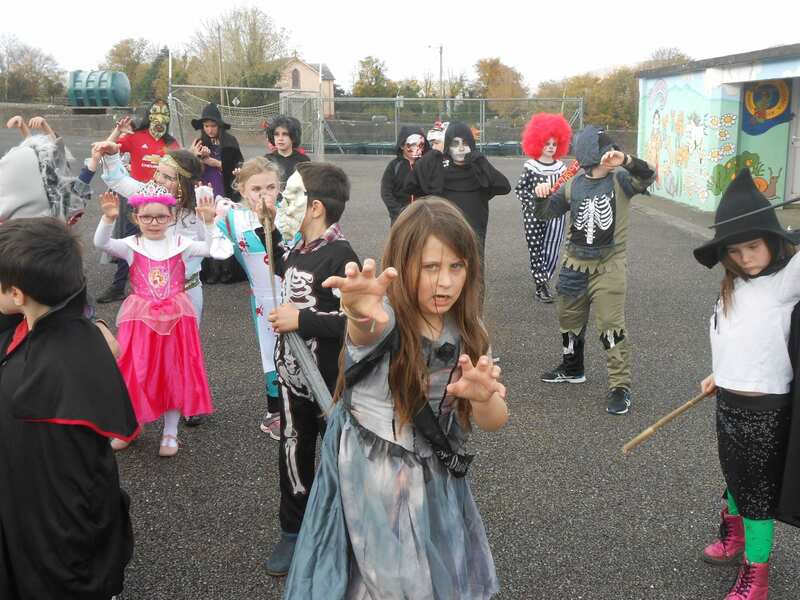 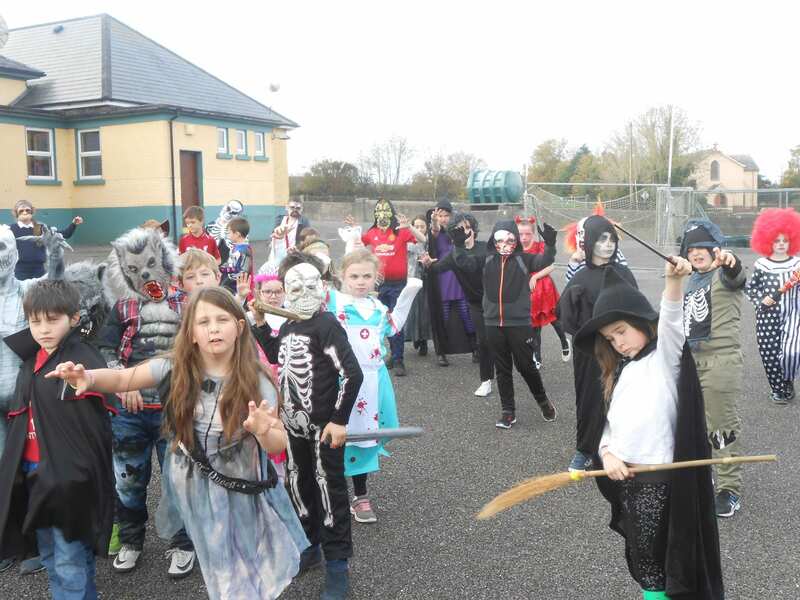 We have had a preview of some of the spooks, ghosts, ghouls, vampires, monsters and zombies that will be out in the Togher area this evening. 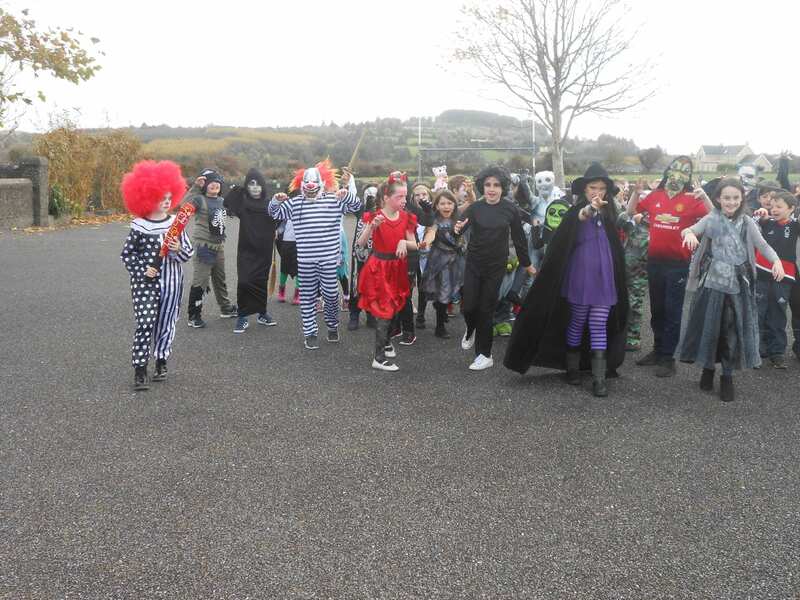 We would like to wish our children the best of luck with their “trick or treating” and to remind everyone to be extra extra careful on the roads. 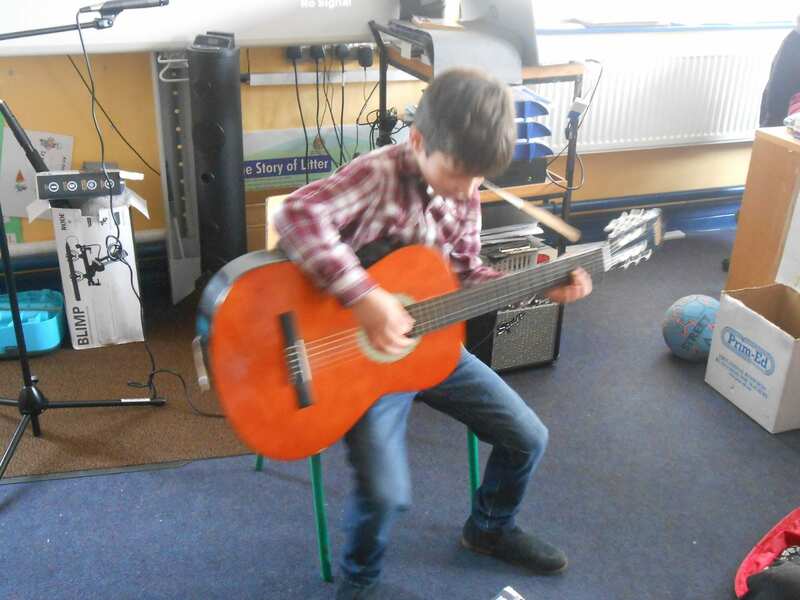 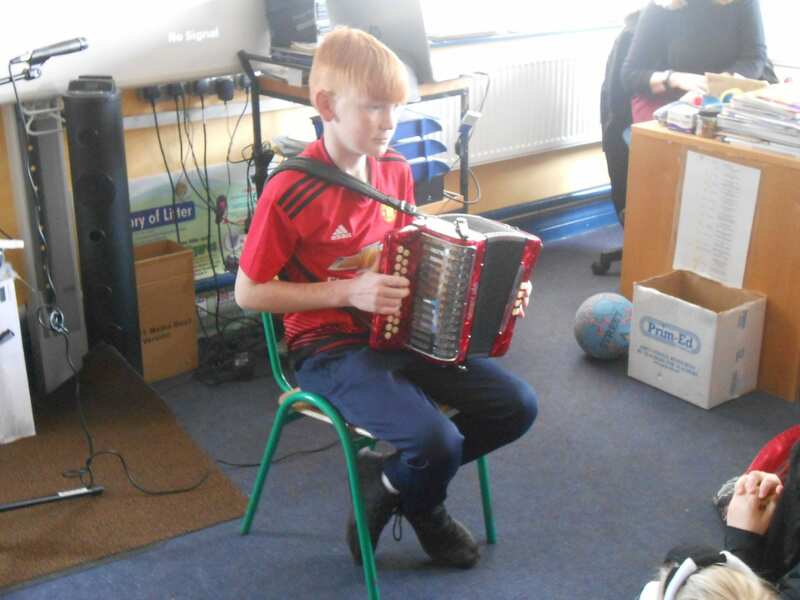 If you are stuck for a song to sing here’s a quick reminder of the song we learned last week. 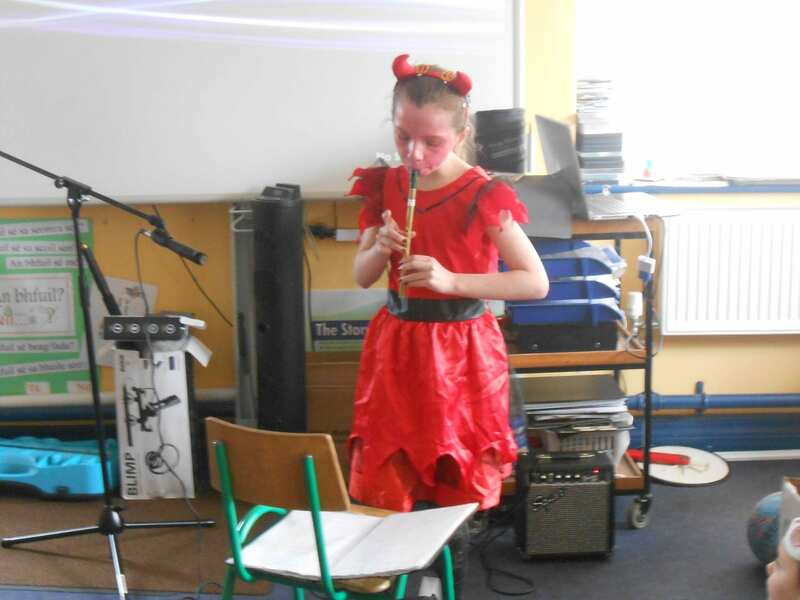 Oíche Shamhna Shona daoibh. 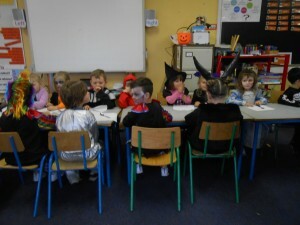 Is maith liom iad, is maith liom iad. 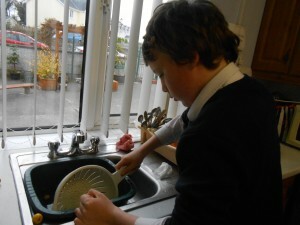 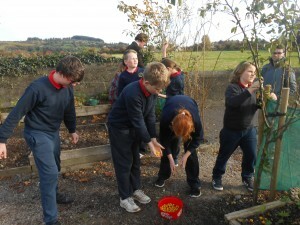 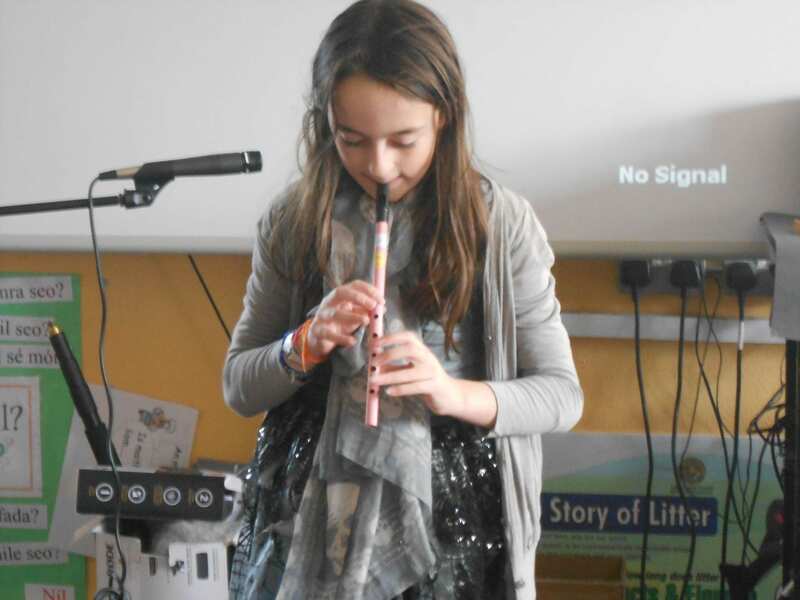 An irresistible aroma wafted through the corridors of Togher N.S. today. Halloween will be upon us soon and the children are preparing a secret potion said to have been handed down through the mists of time. 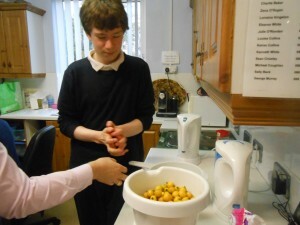 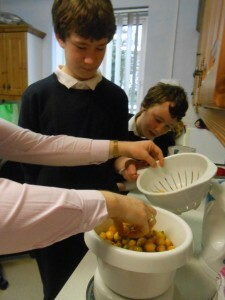 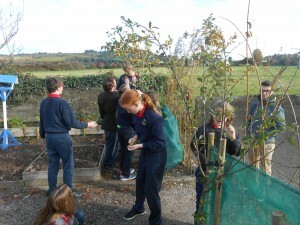 They have been busy recently foraging locally for the necessary ingredients. 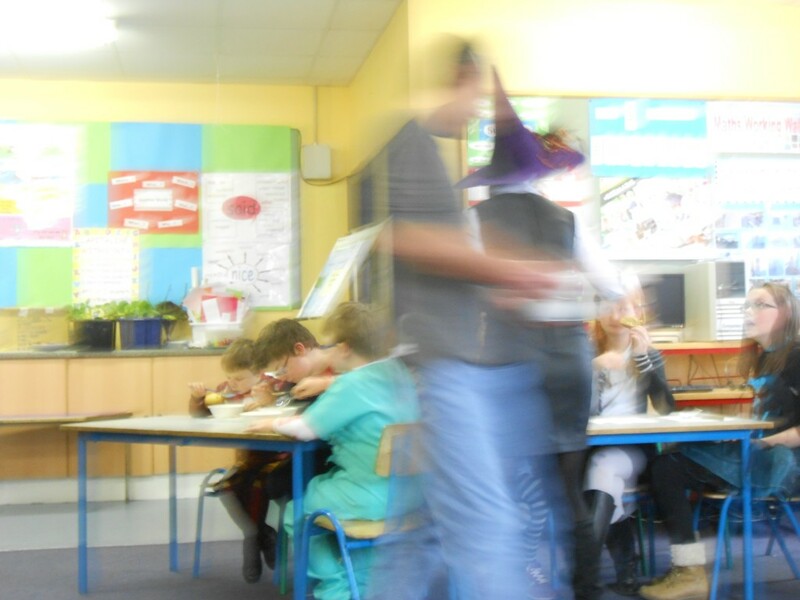 When the teachers asked what the effects of this potion might be they were met with bright grins and some shuffling of feet – never a good sign. 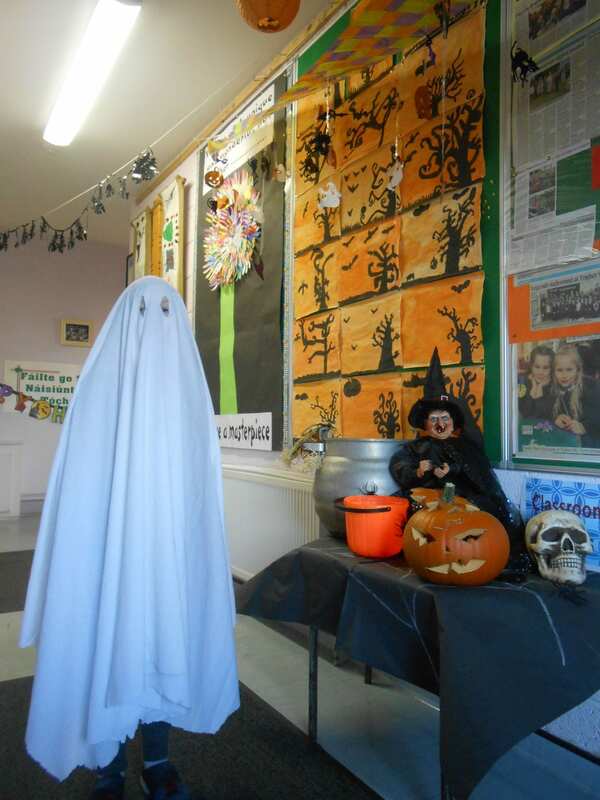 There are a lot of nervous teachers around the school this week! 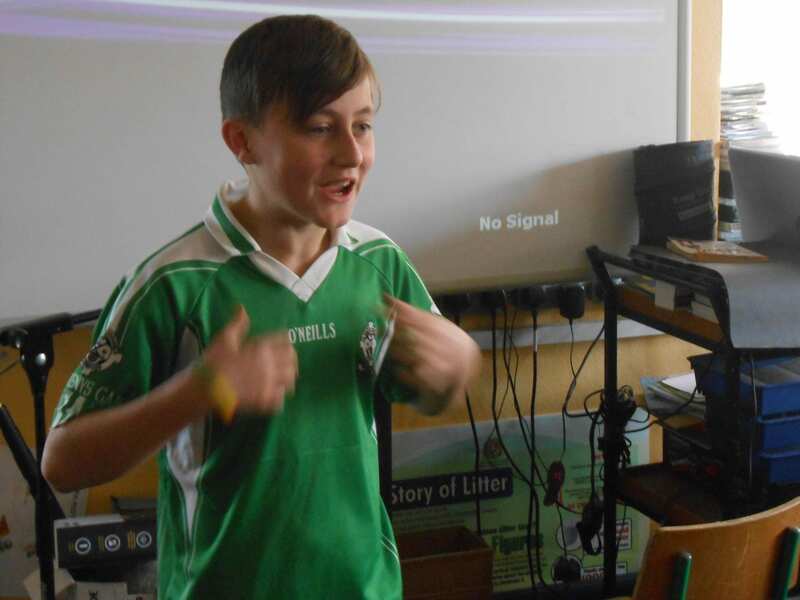 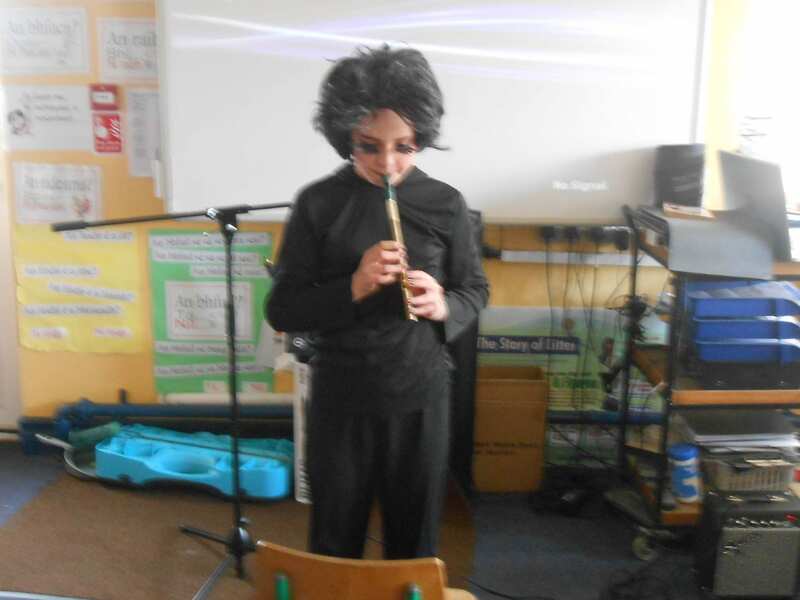 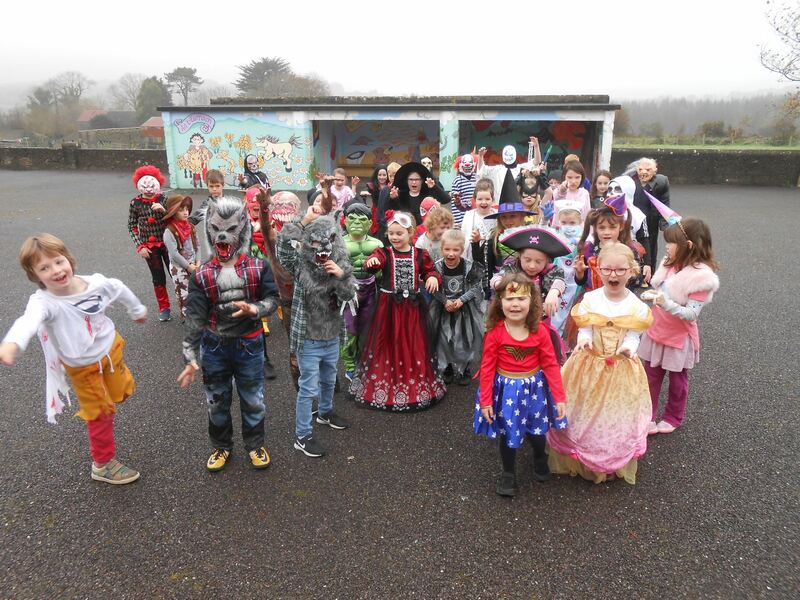 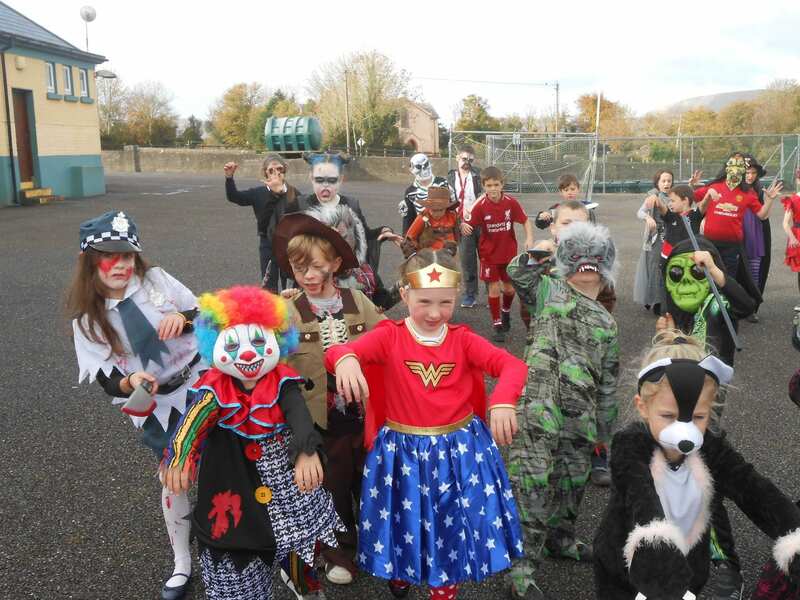 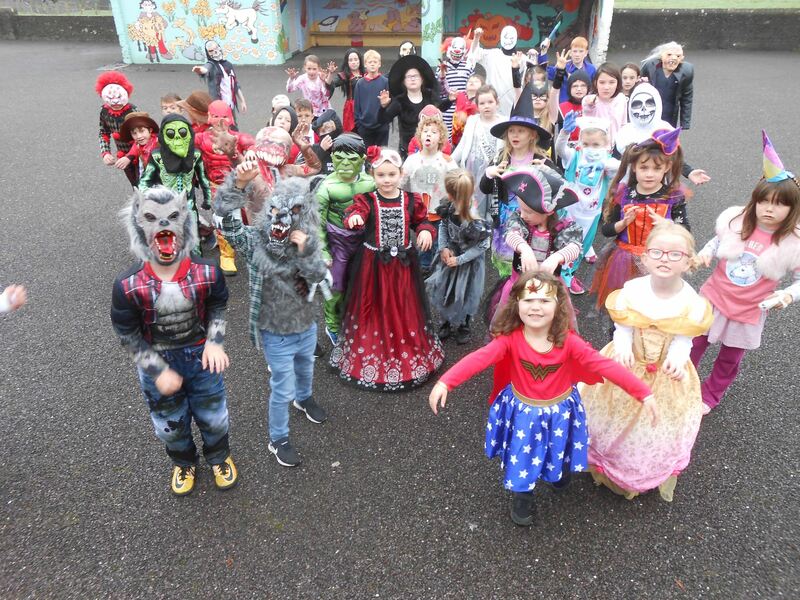 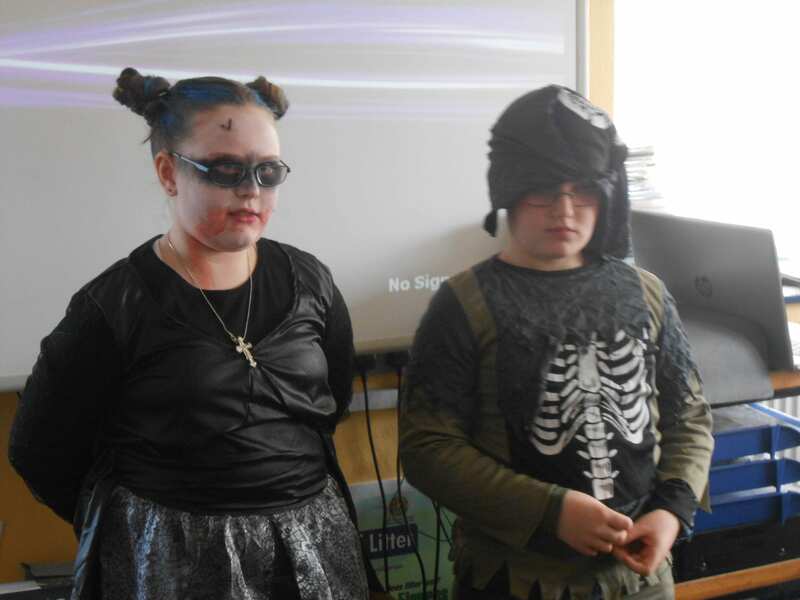 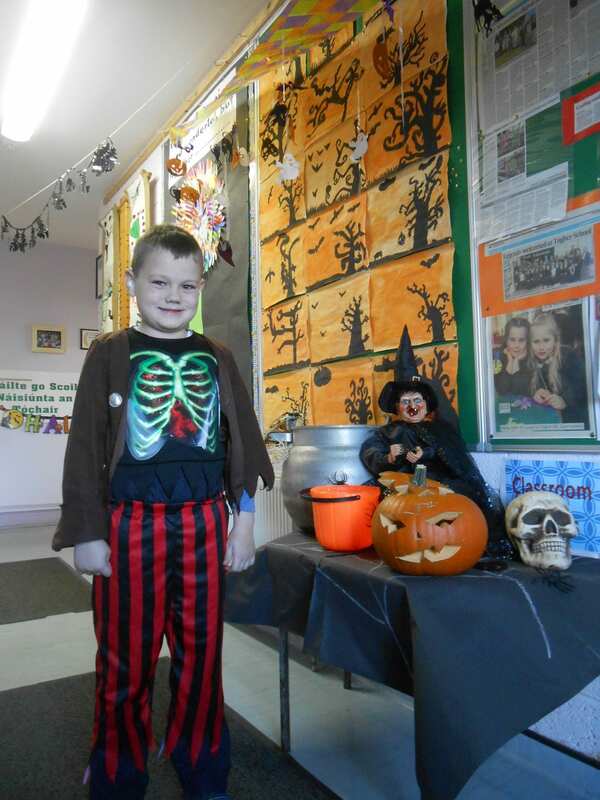 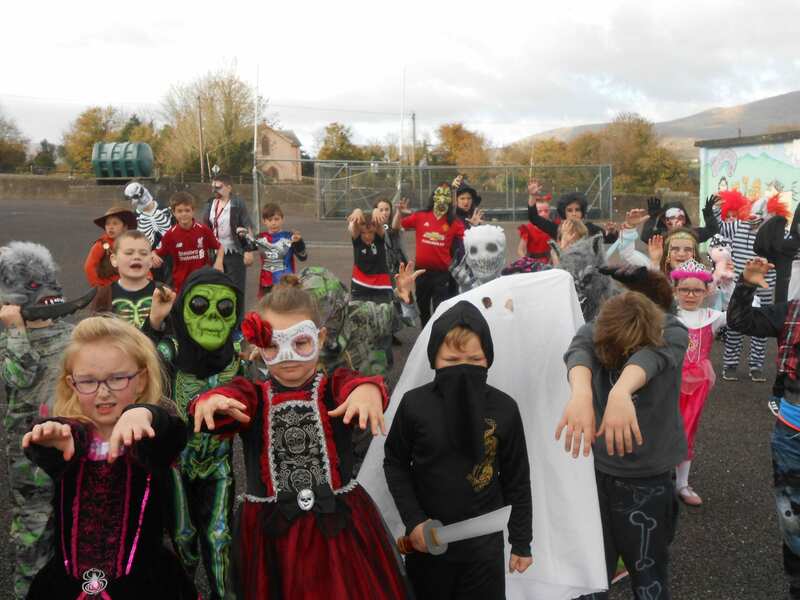 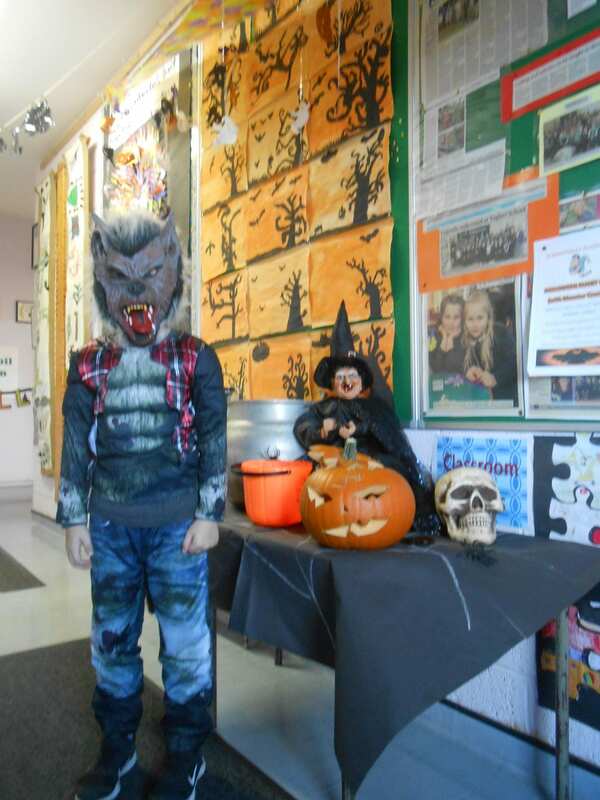 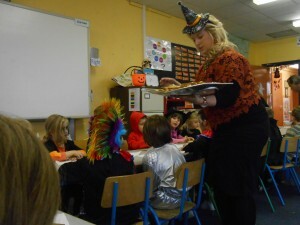 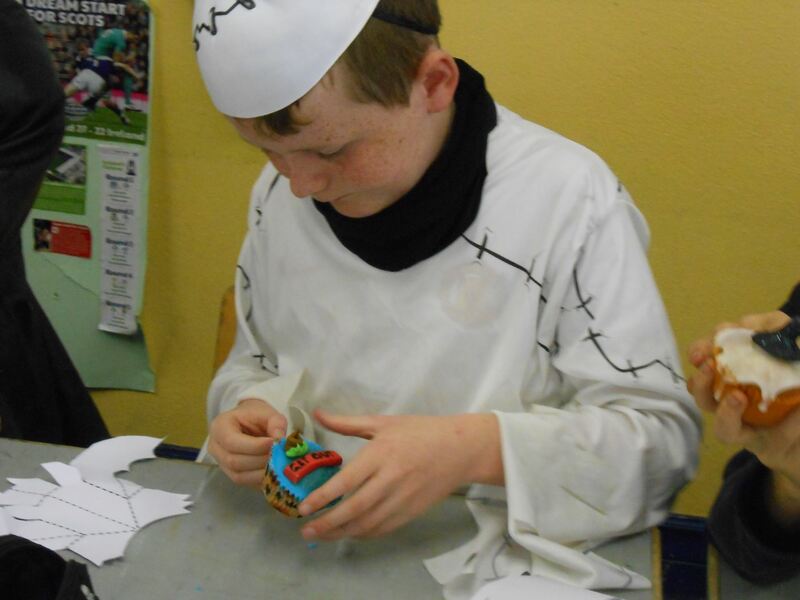 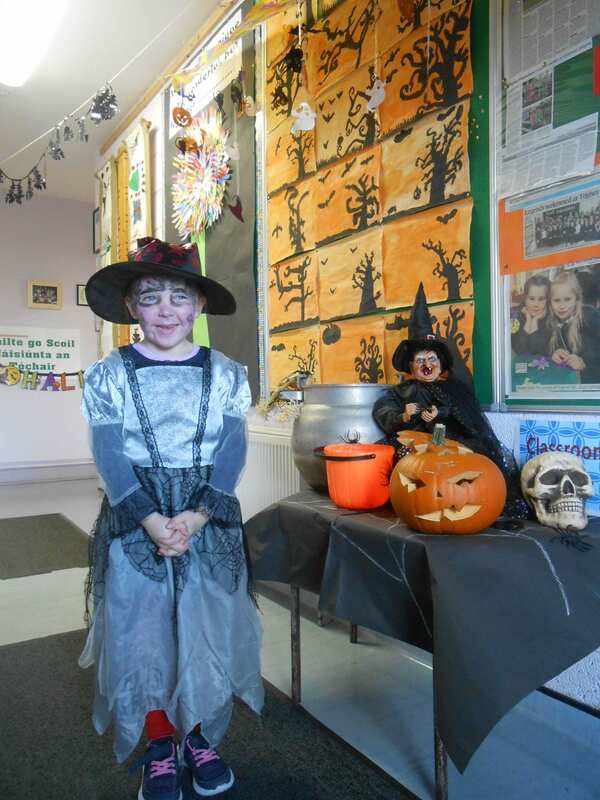 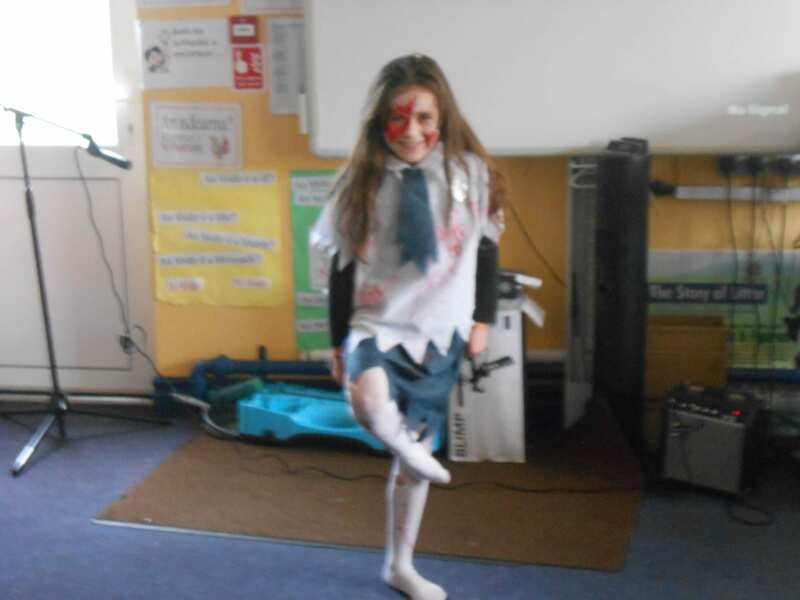 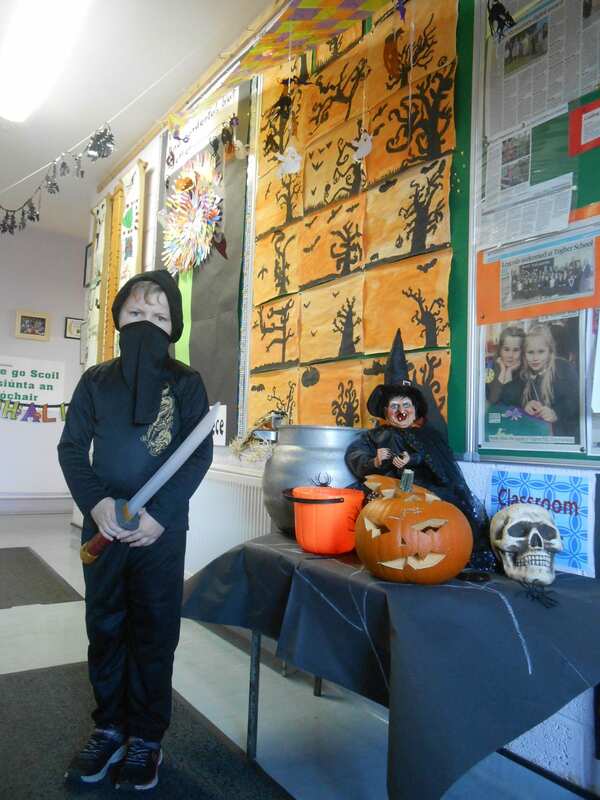 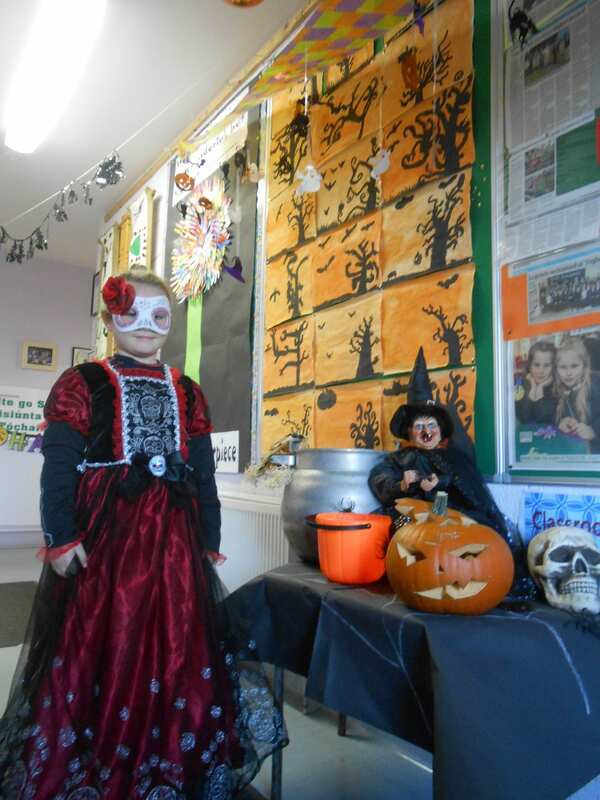 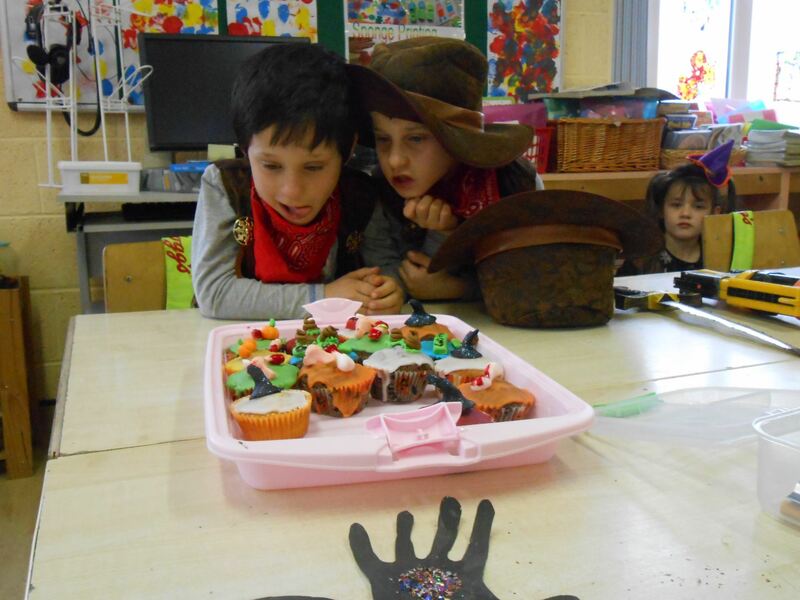 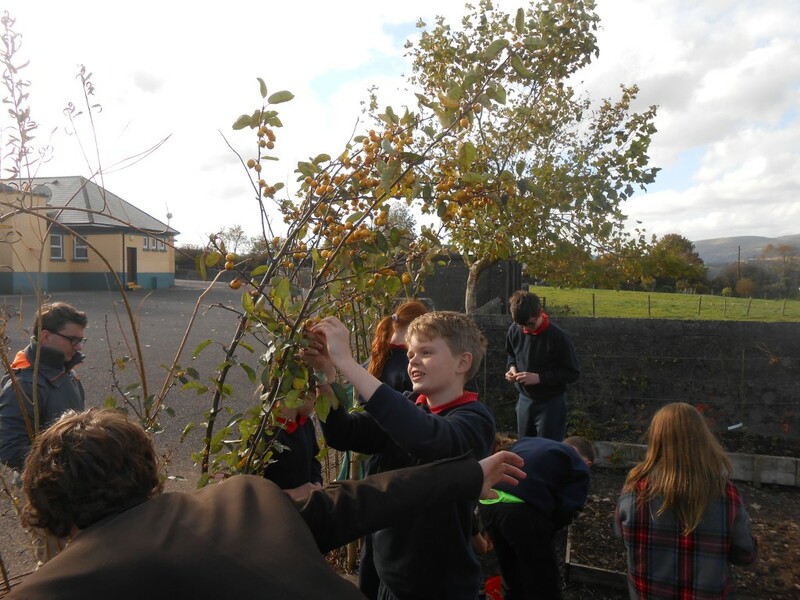 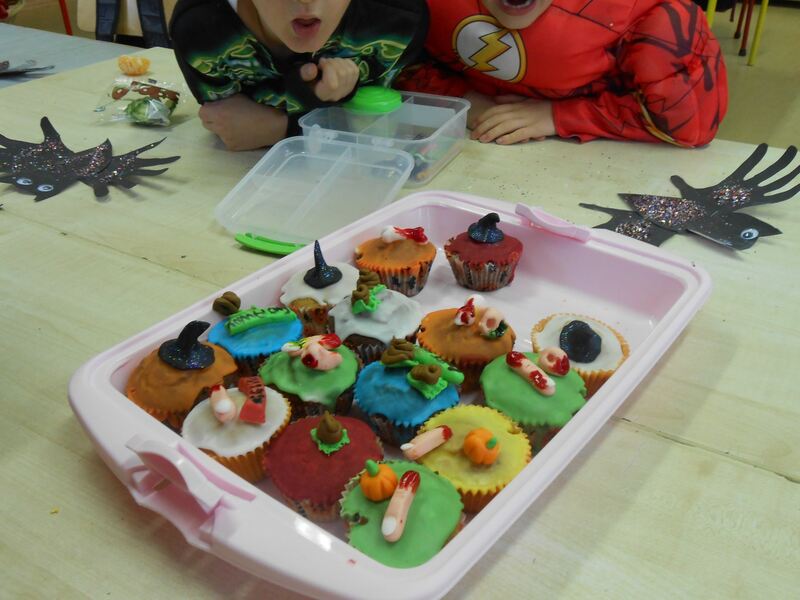 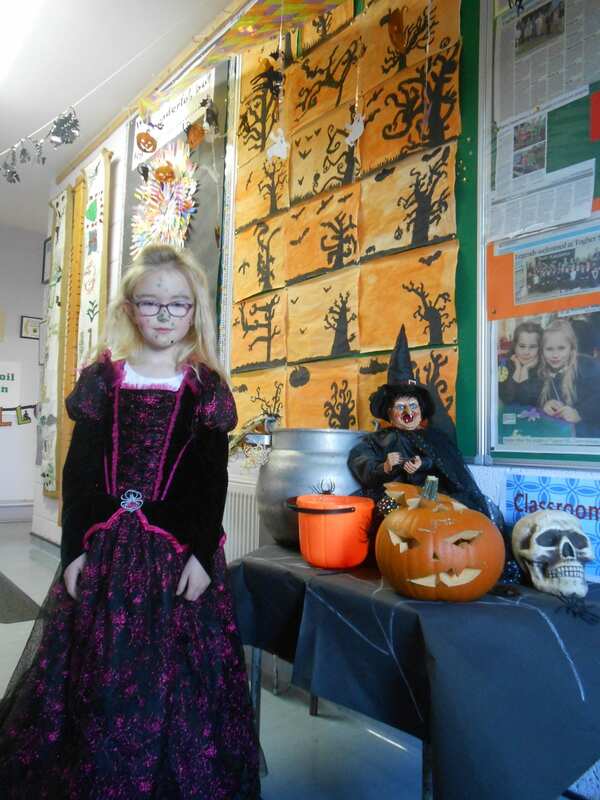 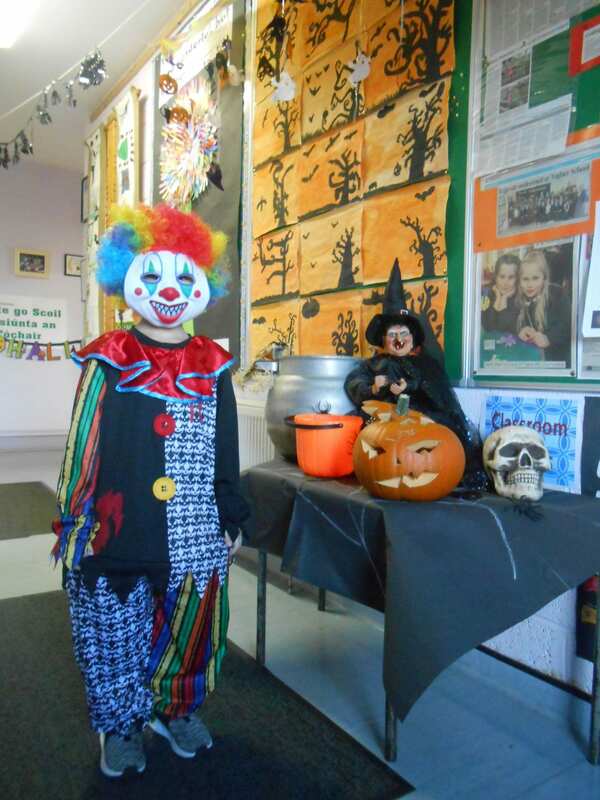 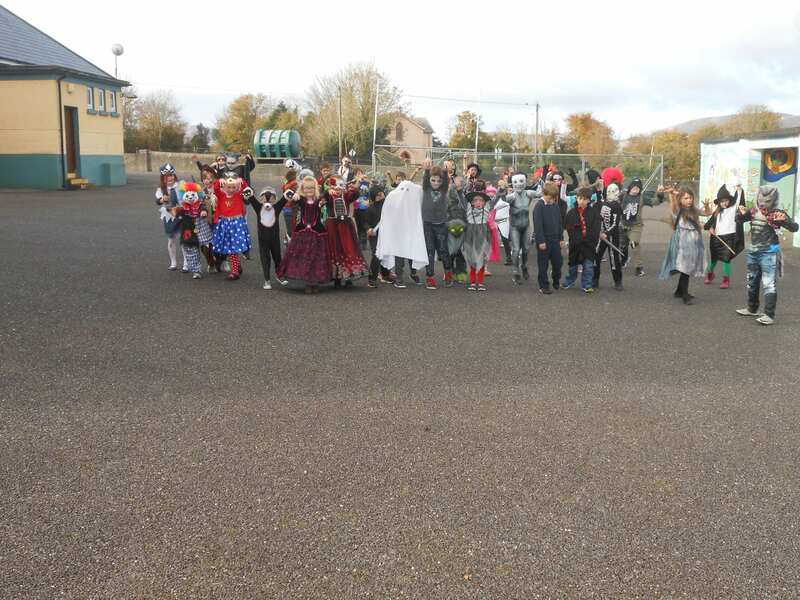 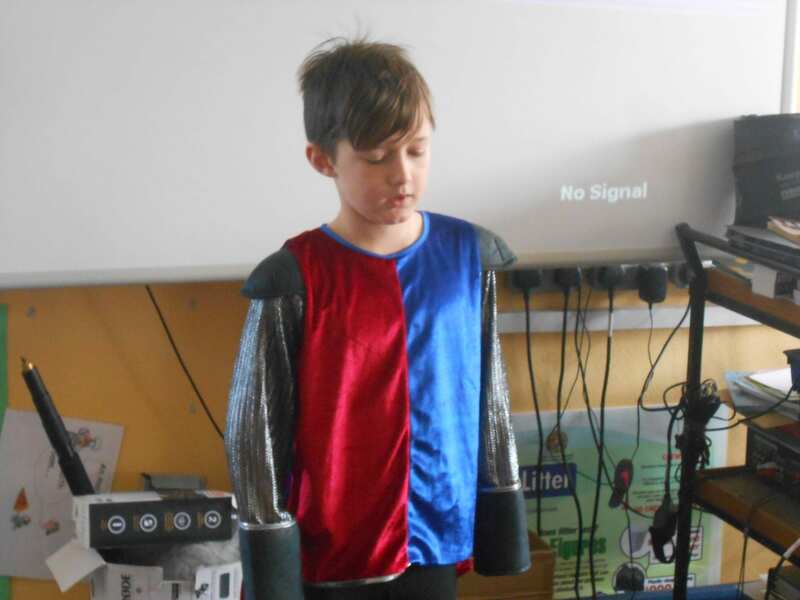 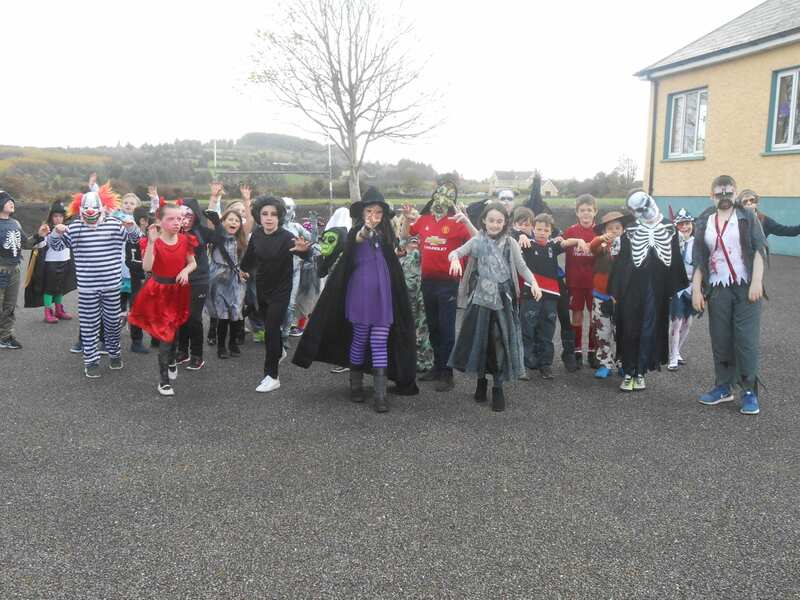 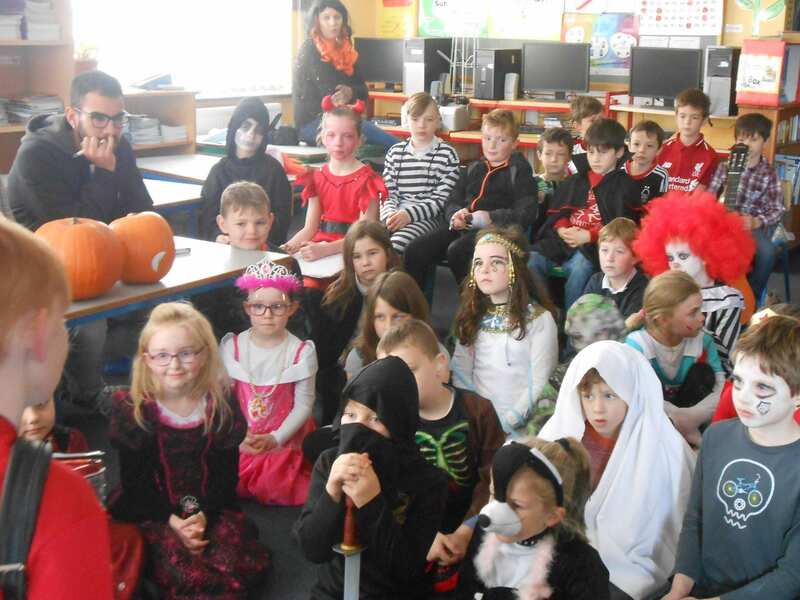 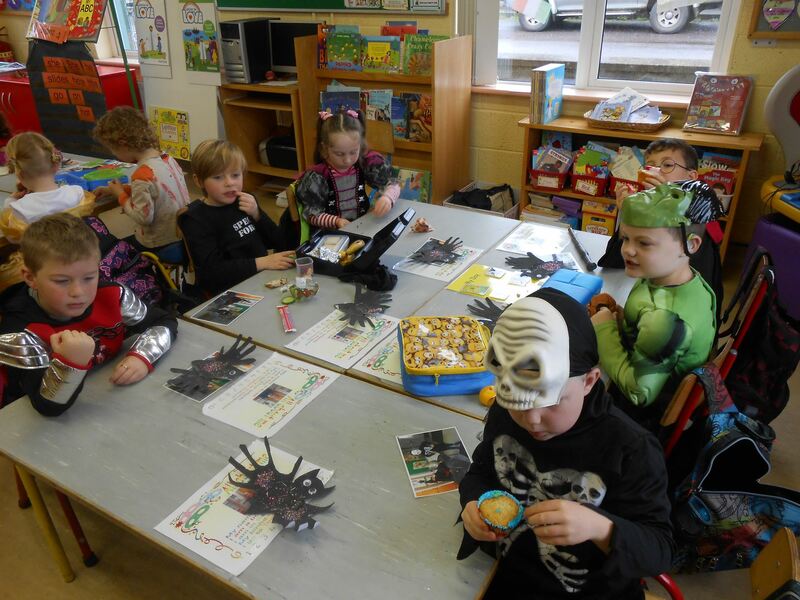 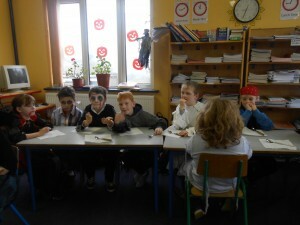 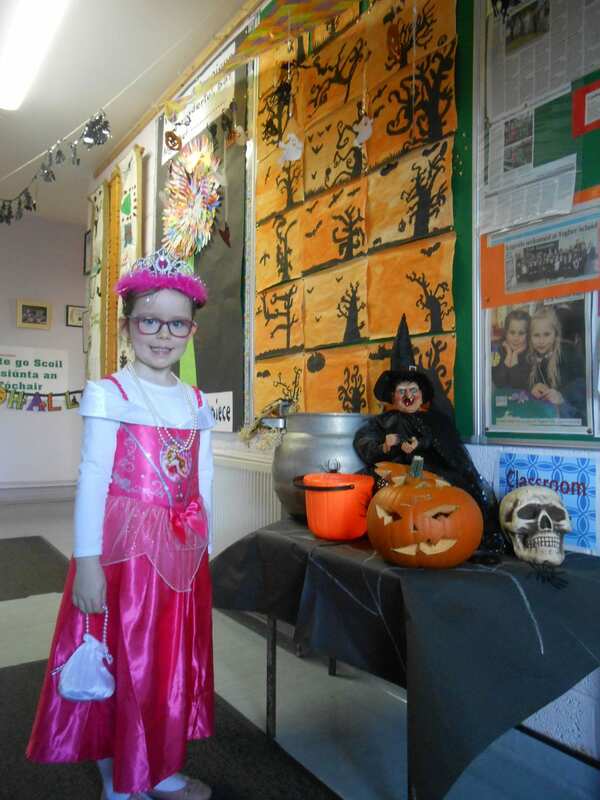 Spooky happenings in Togher N.S. 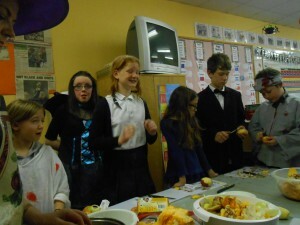 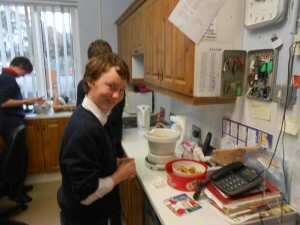 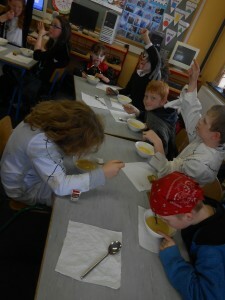 During our Halloween party we were joined by a ghostly figure – who, in fairness, did help to serve the brown bread. 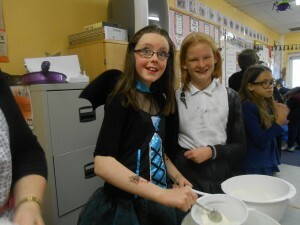 Many thanks to Mary and Heather for all their invaluable help with the Halloween Party. 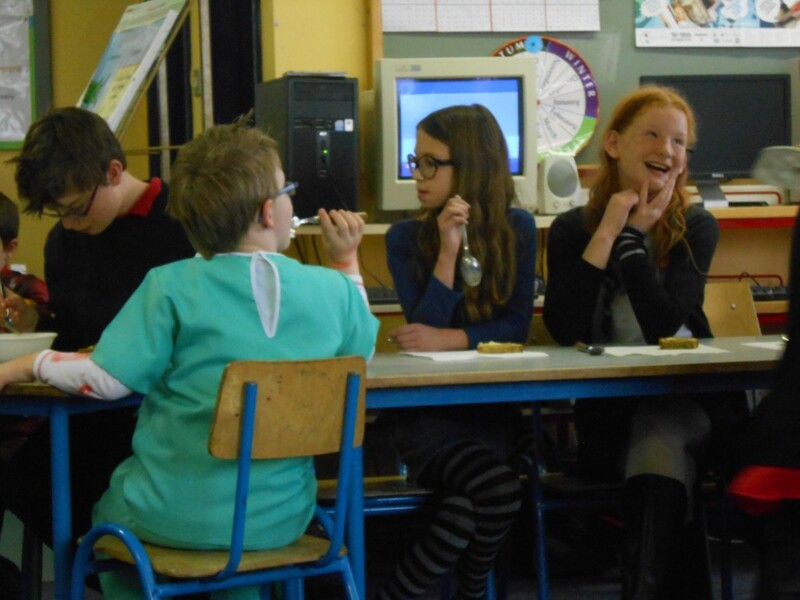 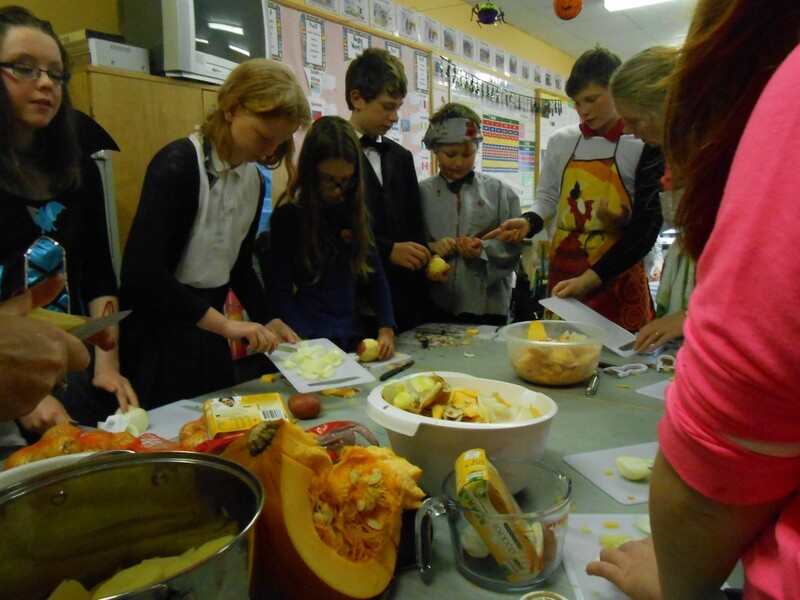 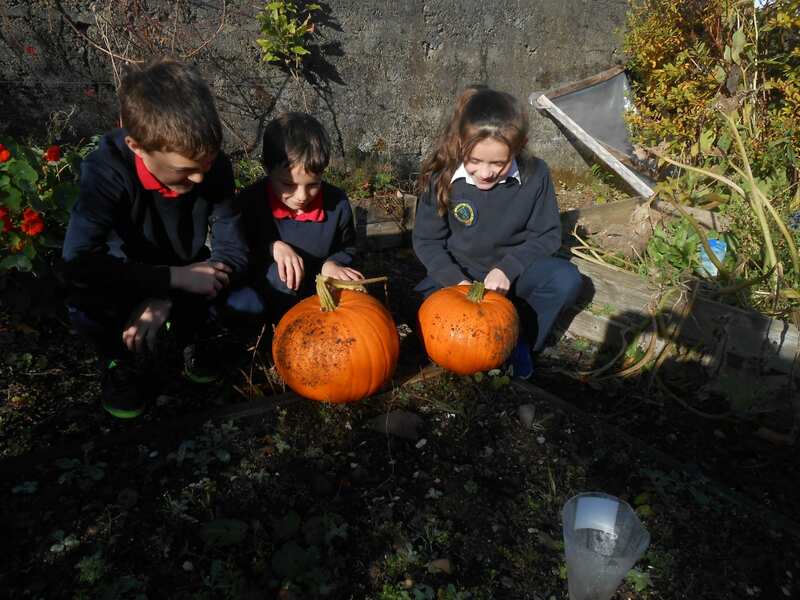 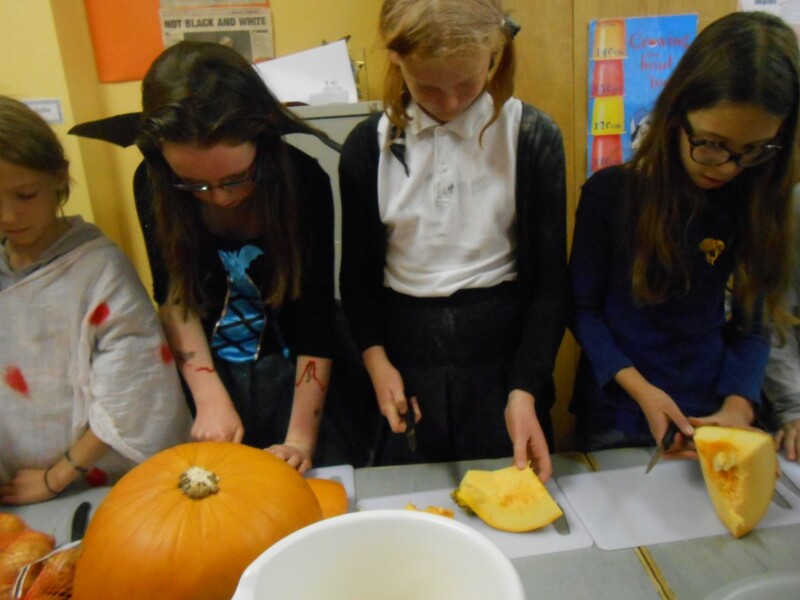 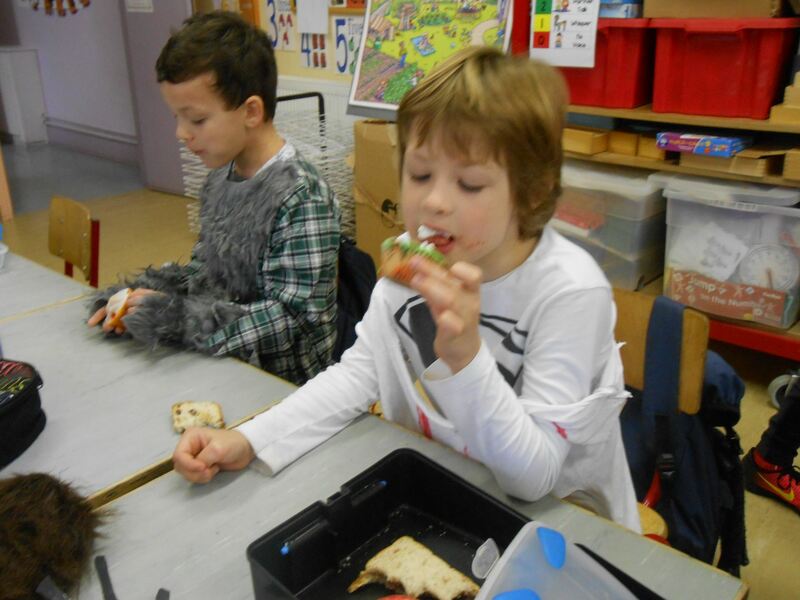 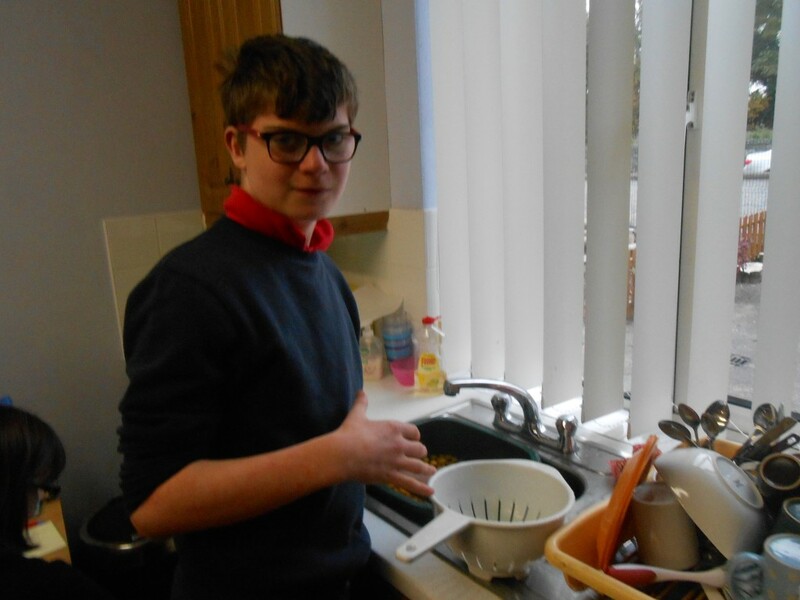 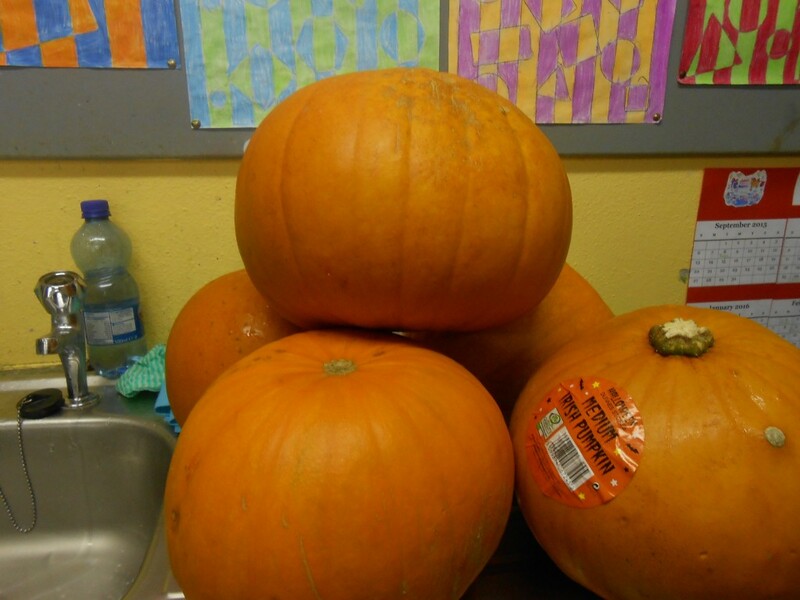 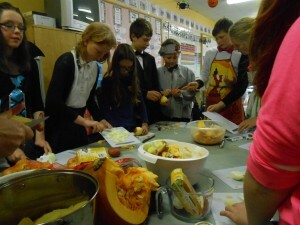 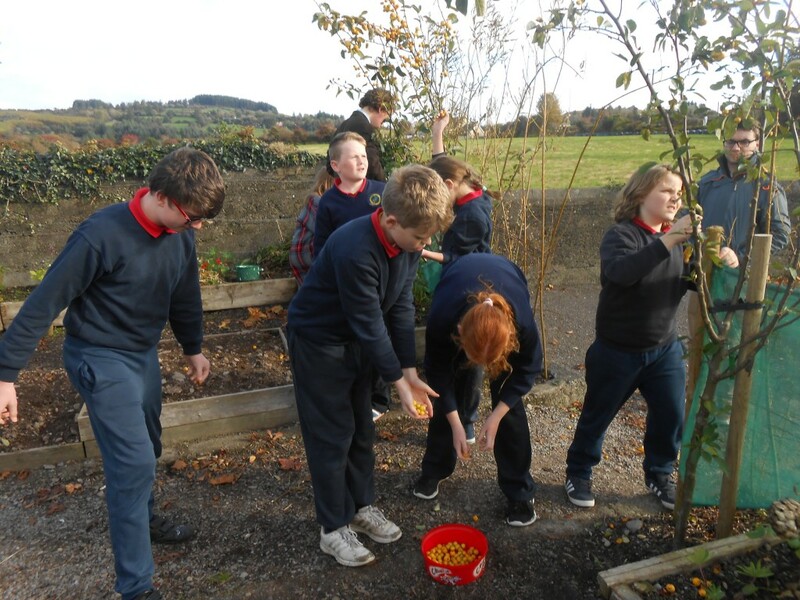 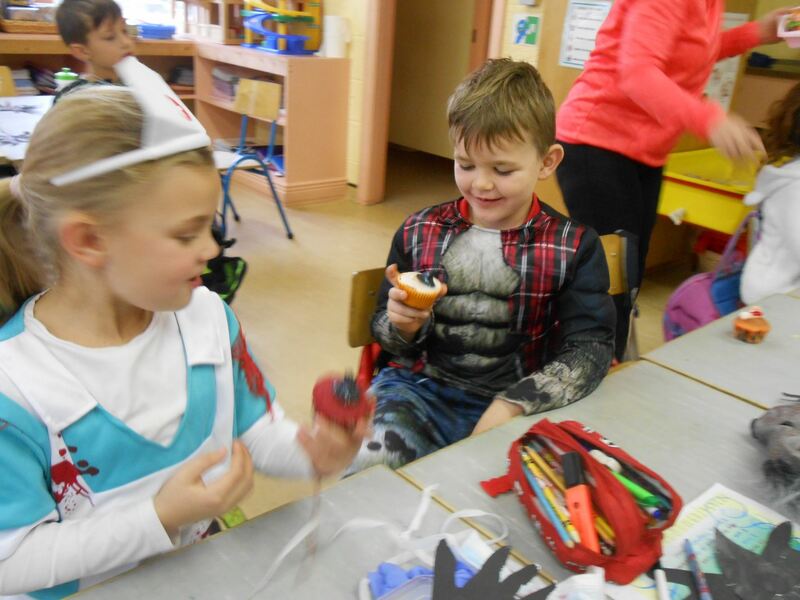 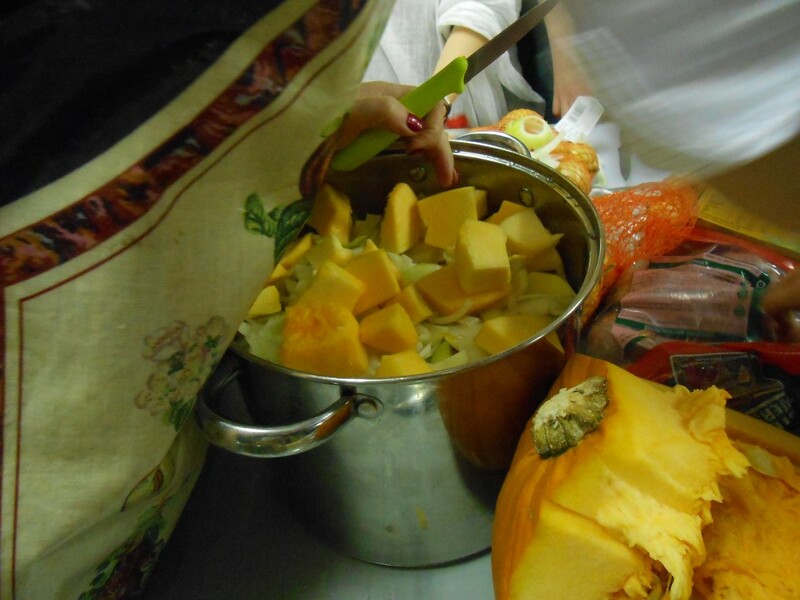 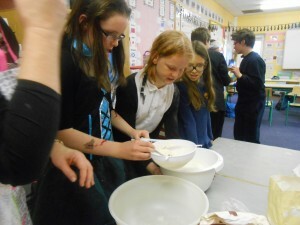 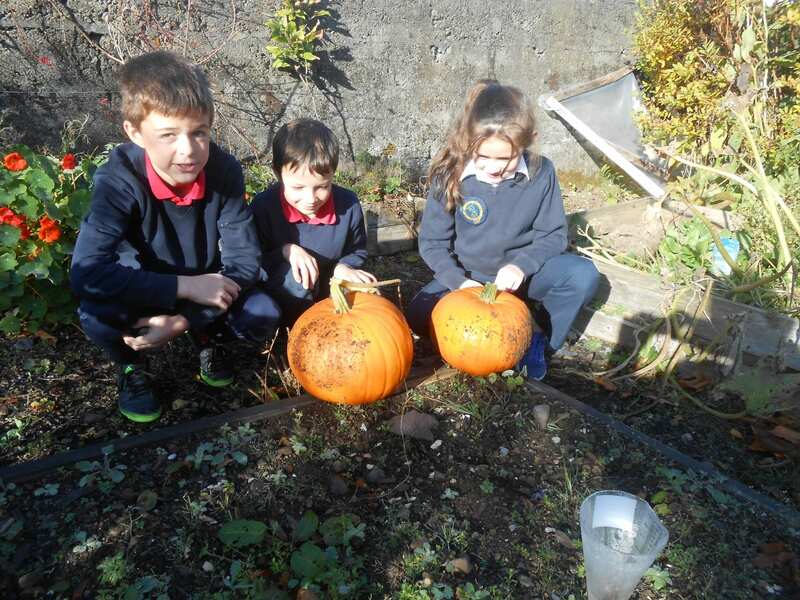 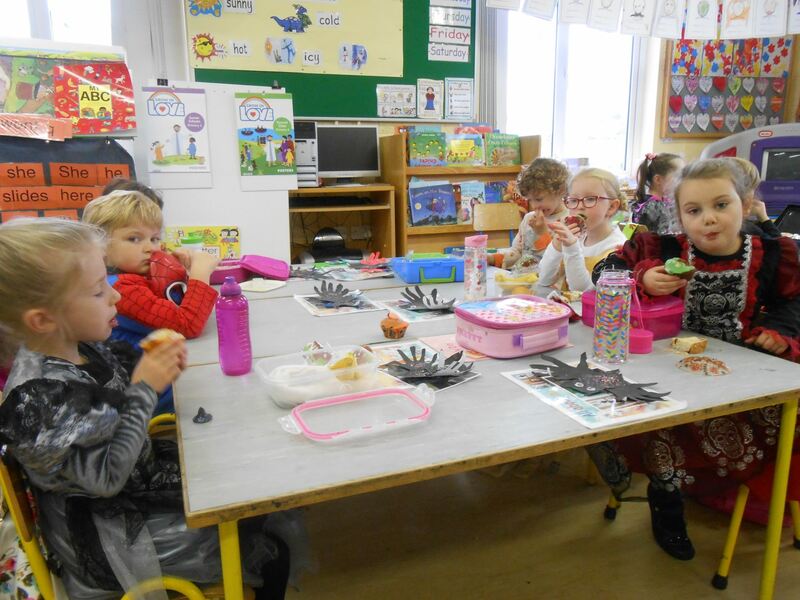 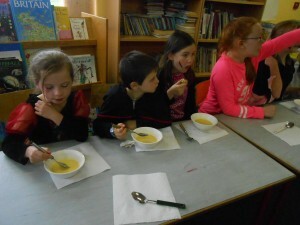 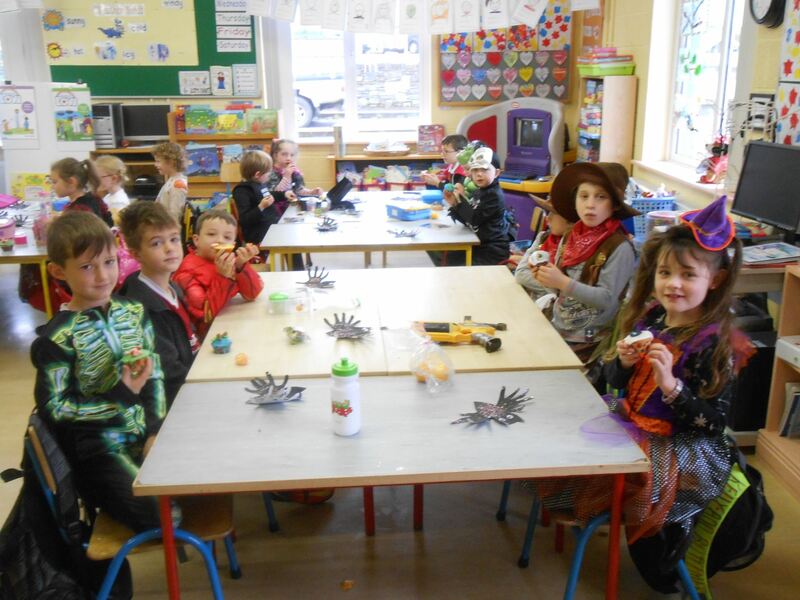 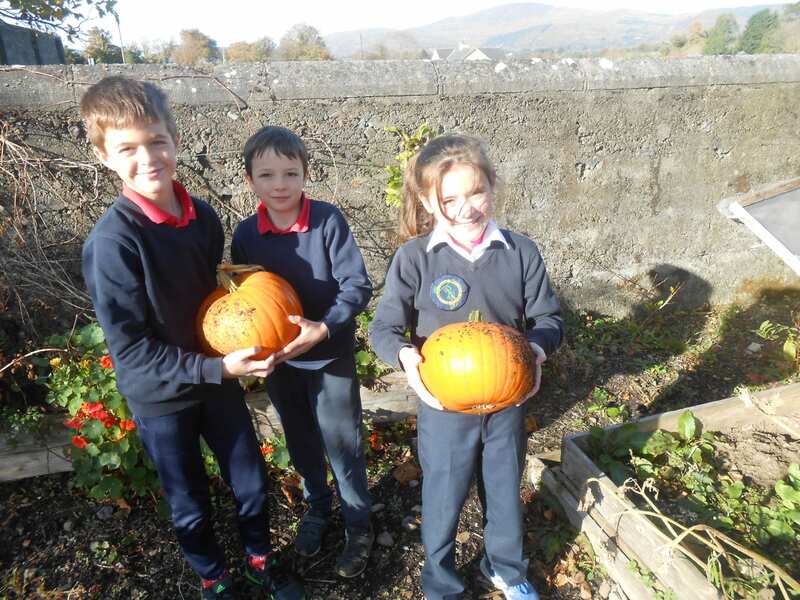 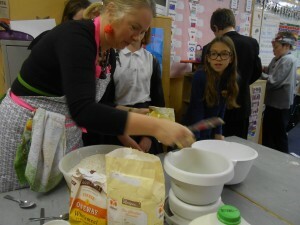 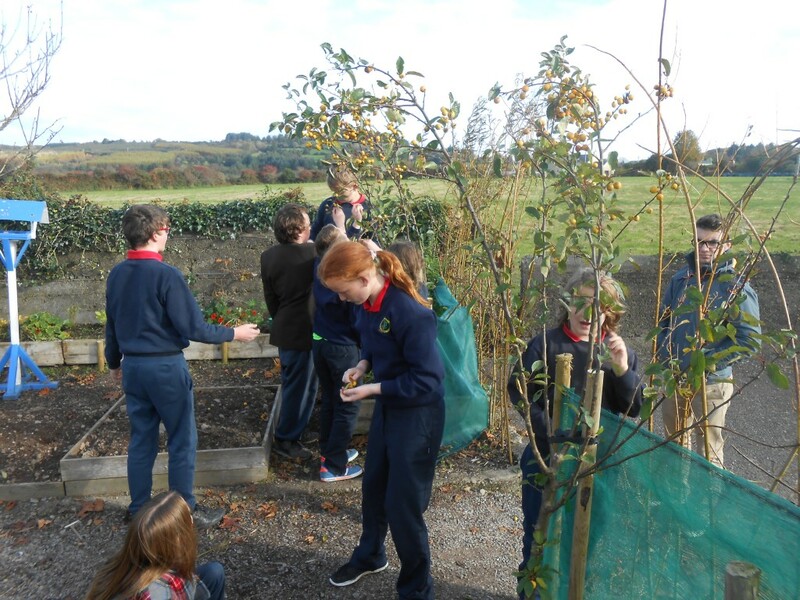 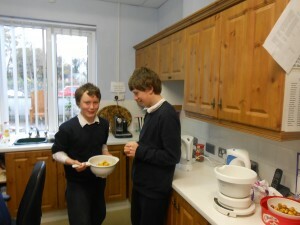 The 4th, 5th and 6th classes enjoyed cutting up the pumpkin and other vegetables to make pumpkin soup and helping with the making of brown bread for the school Halloween Party.